Have you got what is takes to be a World Class Diver Ducks Hunter of the season? Do you posses the patience, accurate timing and the perfect aiming to hunt down the water fowls to become the ultimate Duck Hunter of the Diver Ducks in the Duck Hunting 3D: Diver Ducks real duck hunting game? In the reality based duck hunting game, hunt the ducks from the passing by diver ducks flock by using the accurate timing and aiming skills. 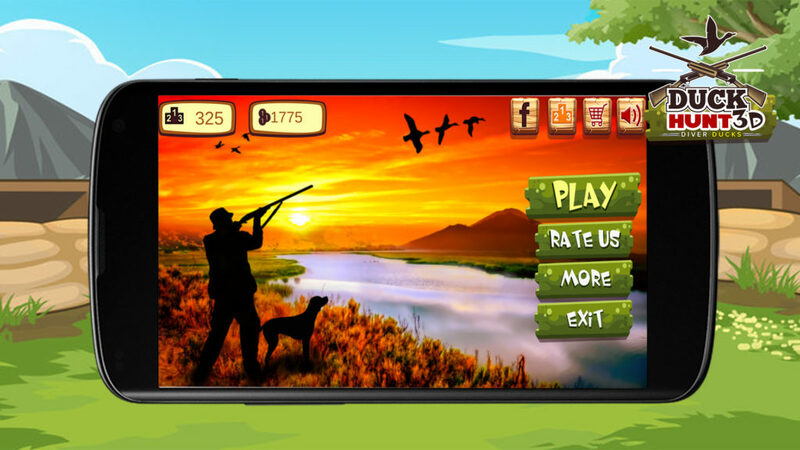 With no limit of time, hunt the specific number of ducks with the limited ammo to complete the waves of the location. With beautiful river side environment along with multiple locations, hunt the ducks to prove your self as the World Champion of the Duck Hunting for the Hunting Open Season of 2016. Attract the passing by ducks flock with the duck whistle, and on proper time hit the flock to hunt the maximum ducks in a single shot fired from the hunting rifle. In Duck Hunting 3D: Diver Ducks experience the real duck hunting with the real shooting effect, using the duck calling strategies used by the real professional hunters to attract the water fowls for hunting. Hunt the ducks and let your pet dog grab them for you from the water to get reward. Earn coins by hunting to unlock more powerful hunting gun. Hunt from the multiple locations at the river side. With the beautiful effects and animations used in the game experience the real hunting of the water fowls at the river side. With the lovely graphics and reality based duck hunting game, take your time and hunt the maximum ducks in the minimum shots, to prove your self as the Best Duck Hunter of the Open Season 2016. 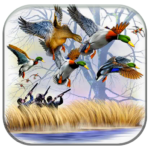 Loved the game share with others to join you in the duck hunting and experience the real water fowls hunting in the Duck Hunting 3D: Diver Ducks game. Provide us with your valuable feedback and suggestion to help us improve our game.